Sari Kelen began drawing and painting from early childhood. She has had instruction at the Montreal Museum of Fine Arts, The Visual Arts Centre and the Saidye Bronfman Centre and the Galerie du Village. She has taken courses from Gisèle Lapalme and Sheryna Vininsky. She is presently receiving instruction from Lubomir Ivankovic and has been exhibiting with Artistes Hudson Artists for the last five years. She has entered an exhibition of Les Amis du Pinceau. She wishes to capture emotion in a person's face and body language. 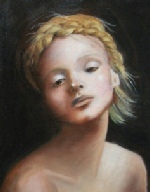 Using oils and acrylics, she enjoys the challenge of portraiture. 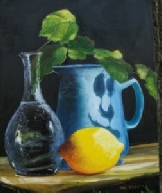 Inspired by Jackie Muller-Jones' photograph of a blue jug, vase and lemon. In still life paintings, the colour and lighting are most important aspects. Sari prefers still life or landscapes which have something captivating about the composition, an enormous pine tree is brilliant with a backdrop of a lake far below and mountains in the distance. By using a palette knife, a massive rock is presented with an unlikely birch tree growing right out of it, its huge trunk holding steadily on the edge. In still life paintings, the colour and lighting are most important aspects. 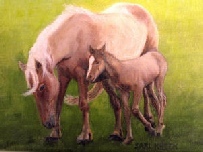 A love of wilderness has influenced Sari's choice of subjects. Hiking in the mountains of Quebec, New England, British Columbia and Costa Rica has provided her scope. Canoe trips in Quebec and Ontario's parks are a continuing inspiration for her paintings.